Are you looking for a well designed ergonomic office chair with neck support? When we sit at a desk for long hours, it is common to have bad posture or slouch over our desk if we are not sitting on a good quality office chair that is right for our body type. Not choosing the right office chair can lead to health problems over time such as back pain, leg strain, muscle tension and also headaches. Which is why it is important to invest in a good quality chair that will support your back as well as your neck. Purchasing a chair that gives good lumbar support can help reduce any strain in the lower back and also support your whole body when seated for long periods. 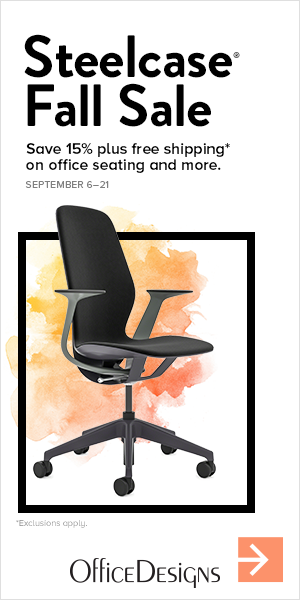 Below you will find the top rated computer chairs that can fully support your neck and back. 4 What Is The Best Ergonomic Office Chair For Back And Neck Support? When looking to purchase an ergonomic designed office chair, it is important to find a chair that is fully adjustable to give your body the right comfort and support. The Boss B6888-BK-HR Multi-Function Mesh Chair with Head Rest is a quality product that can give you full lumbar support and also support your neck and shoulders. It also has adjustable arm rests which can be moved up, down, in or out. 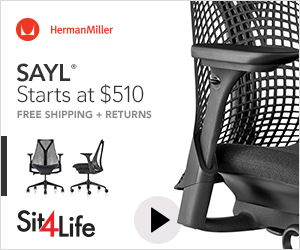 The mesh back is designed to give your back the best support while seated at your desk especially if you sit at your chair for long hours during the day or night. Another great feature of this chair is the tilting mechanism, which can be locked in any position you want. The maximum weight capacity of this chair is 250 pounds in weight. The seat slider feature allows you to adjust the seat depth of the chair, which is very important when looking for an adjustable computer chair. Priced under $350, this product is at a great price and very affordable. The Ergohuman ME7ERG-W09-01W09-01 Black Mesh Hi Swivel chair is one of the best well designed computer chairs that can support your lower back as well as your neck. It comes in many different colors such as black, blue, burgundy, copper, green and grey. The material is a strong mesh fabric to promote air circulation and reduce strain to the back. There are eight ergonomic adjustments with this chair such as a tilt tension control, seat height, seat depth, tilt lock, back angle, arm height, back height and synchro tilt. This office chair with neck support is also made from 97% recyclable materials and also has a greenguard indoor air quality certification. If you are looking for a highly adjustable chair to fit your body type, this product from EuroTech is a great choice. Currently it is priced under $650 and is a well made heavy duty office chair. What Is The Best Ergonomic Office Chair For Back And Neck Support? This is the Argomax Mesh Ergonomic Office Chair which has many adjustable features to help you feel comfortable while you work. It features a ergonomic design with a back chair lifting function and strong and sturdy legs to help you move around the office. The 2 in 1 lever can be used to adjust the back tilt and also the height of the chair. It is made from high quality materials of nylon and breathable glass fiber. It is also easy to assemble and easy to clean and has a 330 lbs weight capacity. For extra relaxation it has a built in lumbar support, forward and backward rotating armrest and a up and down seat adjustment as well. This chair is specifically made to help support all areas including your upper and lower back, head, neck and legs. If you have been searching for a ergonomic office or computer chair that has many adjustable features to support your whole body then this is a chair I highly recommend. This is the Cedric Ergonomic Mesh Office Chair and is a top rated product in this category. Some of the great features are adjustable armrests and headrest to offer support to your shoulders and neck. This comfortable mesh office chair is made from breathable fabric and a sturdy structure to help support your body while you are seated. The aluminum base can support a weight of up to 2500 pounds and the adjustable lumbar support adapts to various body types to help minimize pressure in the lower back or spine. 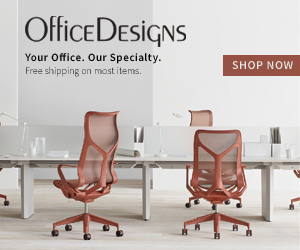 If you are looking to buy a comfortable and affordable office chair for your home or office then this is a great buy. It also has ergonomic features to help relieve back and neck pain or discomfort. No matter what office chair with neck support that you choose, make sure that it has a modern ergonomic design, is fully adjustable and supports your whole body.